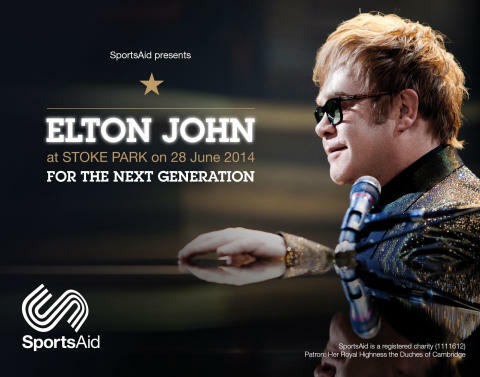 SportsAid has launched a Facebook competition to give one lucky winner the chance to take a friend to see Sir Elton John perform live at Stoke Park on June 28. 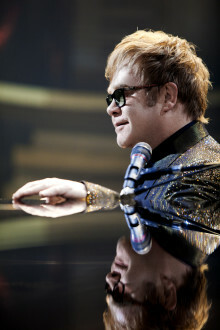 The open air concert for SportsAid - for which some tickets are still available to buy on Ticketmaster - will establish a new charitable fund with Sir Elton John that will provide vital financial support to young people hoping to represent Great Britain at the Olympic or Paralympic Games in 2016, 2018, 2020 and beyond. "I am so excited to be part of this landmark event for SportsAid and to be helping the young, aspiring sports stars of the future," said Sir Elton John. "I thought the London 2012 Olympic and Paralympic Games were incredible and I was very moved by the 'inspire a generation' motto that accompanied it. The Games really brought home to me the sacrifices and enormous challenges that young people face to reach the highest level in sport - and from such an early age too. Their ambition and courage is a huge source of inspiration to me and I know we can make a big difference to their lives by setting up this new fund." To enter the competition visit SportsAid's Facebook page. The deadline for entries is midnight on Sunday, 8 June 2014.